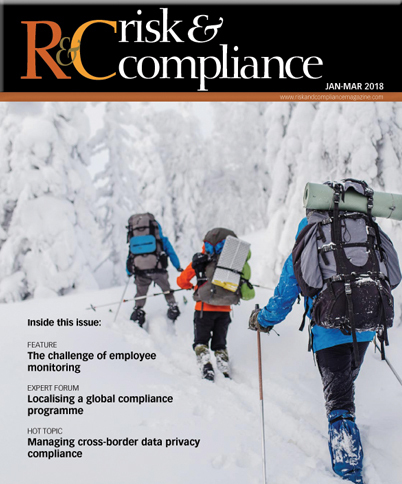 R&C: In an increasingly complex and demanding corporate environment, to what extent is it mission critical for companies to have analytics and intelligence integrated into their risk framework? Guiterman: With access to highly accurate data in today’s digital communications market, it is essential for corporate environments to integrate analytics and intelligence disciplines into their crisis management frameworks. Today’s real-time digital ecosystem has turned legacy frameworks on their head. News and information travel in real time across unlimited channels where high value audiences engage with the media, influencers and each other. Modern analytics now enables previously undetectable market and non-market threats in both external and internal environments. Analysts explore data patterns to identify potential threats to customers, employees, IT infrastructures, as well as media. Analysts can classify these threats quantitatively and qualitatively across both soft and hard corporate risks running the gamut from cultural landmines to obtuse tax risks. Modernising the crisis risk framework to include data analysis is a competitive ‘must have’. Accessing more stable, accurate and malleable data than at any other time in human history is quickly becoming table stakes.